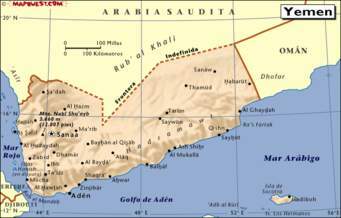 SANAA, Yemen (AA) – At least six people were killed and 20 injured late Monday in a bomb attack in southeastern Yemen. An explosive device went off in front of a restaurant near a military vehicle in Al-Maha district in Taiz province, said a military official who requested anonymity because he was unauthorized to speak to the media. The dead included an Abu Dhabi TV reporter. There has been no claim of responsibility for the attack and no official statement. Impoverished Yemen has remained wracked by violence since 2014, when Shia Houthi rebels overran much of the country, including the capital Sanaa.